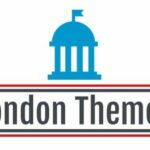 LondonPress is a elegant responsive blog magazine wordpress theme, Built using html5 & css3 designed to make the perfect Magazine’s & Personal Blog’s look great. With multiple home page designs to choose from, A very clean admin panel included to help build your website into anything you can imagine. LondonPress also comes with the Layerslider a premium slider.